Dentistry has come a long way in terms of patient comfort, safety, and longevity. Numerous older patients can recall the days of the dentist not using anesthetic and how long it took for fillings to be placed! Fortunately, those days are long gone! Before we invest in new technology, it must make your experience more pleasant, ensure that our work lasts longer, and allow us to complete the treatment more efficiently. Since new equipment is continually entering the dental field, Lone Oak Dental is always looking for ways to stay updated. In addition to the technologies seen below, many of our patients state that our shots are more comfortable than they expected. We ensure that care is given during this part of the procedure as this is what patients fear the most. Laughing gas reduces anxiety and allows for a more comfortable dental experience, especially if you are nervous. 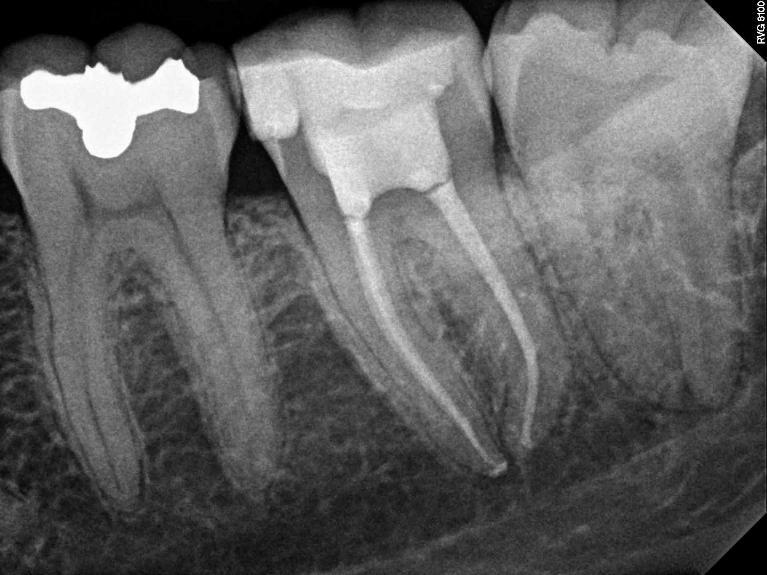 Digital radiographs (x-rays) provide a clearer, larger image, which allows us to detect problems earlier on while exposing you to less radiation. The digital sensors we use expose the patient to about 75% less radiation than traditional film x-rays. The Diagnodent laser helps us detect cavities earlier than traditional methods, such as x-rays. Electric handpieces, or drills, are much quieter, have less vibration, and allow us to work faster so your mouth isn't open as long. Intraoral cameras take pictures of your teeth and gums, giving you a good look at your mouth. The MaxRay x-ray unit is a portable and hand-held unit. It produces the same x-rays found in a wall mounted unit but allows our team to take images more quickly. Since it is easily positioned, it is also very beneficial for patients that have a gag reflex or small mouths as the sensor has to be in their mouth less time. The unit is safe and FDA approved. A 5 hour airplane ride exposes its passengers to about 40 times the radiation that a digital dental x-ray produces. Piezo technology allows our hygiene team to clean your teeth without scraping them. The unit uses high frequency vibrations to break apart tartar on your teeth. The electronic apex locator is used during root canal treatment. It helps us determine how long your tooth is during the procedure. This great instrument allows us to more accurately perform root canal therapy and allows us to take fewer x-rays. We want you to be able to see what we see. In order to do that, we have computers with large TV monitors in our treatment rooms. If we find a cavity between your teeth, we can make the x-ray larger so that you can see it. If we find a crack in your tooth, we can take a picture of it and show it to you within seconds. The ultrasonic cleaner quickly breaks apart tartar that forms on your teeth. It allows our hygienists to clean below your gums and more effectively treat gum disease. Dr. Jordan wears dental loupes (high magnification glasses) with a headlight while working. The magnification allows for more precision while working and allows him to work faster. By wearing a headlight, he can see more difficult areas of the mouth and again, work more quickly. This technology is commonly used by surgeons in operating rooms and the result is better care, earlier detection of disease and less time in the treatment room.